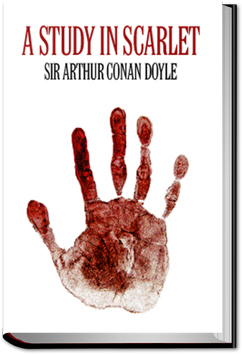 A Study in Scarlet, was Sir Arthur Conan Doyle’s first Sherlock Holmes story. At the beginning of the book, Dr. Watson meets the detective for the first time and we ride along with them to the scene of a murder. The crime baffles the Scotland Yard detectives, but of course Holmes solves it easily. In the second half of the story, the scene shifts to Utah as we learn the murderer’s history. The action returns to London in the last two chapters. In his first adventure, Holmes demonstrates many of the traits for which he later became well known: meticulous study of a crime scene, brilliant deductive reasoning, aptitude for chemistry and music, and the somewhat annoying habit of withholding crucial facts from Watson (and consequently the reader) until the conclusion of the case. This entry was posted in Reading on February 12, 2016 by all-you-can-books.